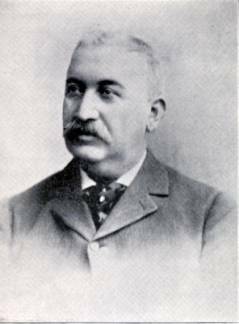 Abraham Heim, a popular and leading clothier of Jefferson City, was born in Bavaria, Germany, July 3, 1842, where he was reared and educated. In 1860 he immigrated to America, stopping first at Mansfield, Ohio, where he engaged as salesman in a clothing store for about ten years. In 1870 he came to Jefferson City, and the following three years was salesman for Sachs & Wolferman. He went to Germany visiting the Vienna exposition and upon returning opened business on his own account in the City Hotel building. Here he continued to do a prosperous and growing business for ten years. As his increasing trade demanded more commodious quarters to accommodate the enlarged stock, needed he purchased the property and opened his store on the corner High and Madison. 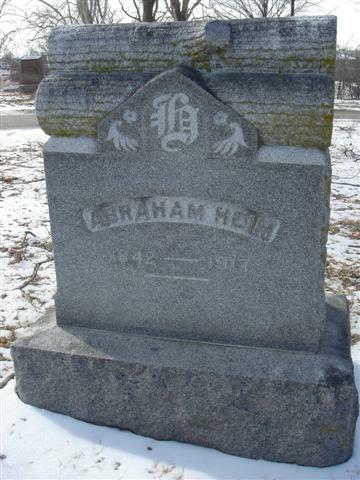 He died in 1917 and is buried in Jefferson City.